An LED dot matrix display consists of a matrix of LED’s arranged in a rectangular configuration. The desired character or graphics can be displayed by switching ON /OFF a desired configuration of LED’s. 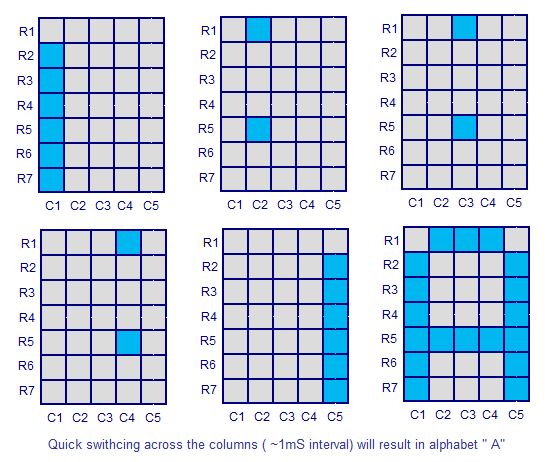 Common display configurations available are 7×5, 8×8, 7×15, etc. LED dot matrix can be used in simple display applications where the resolution is not a big concern. 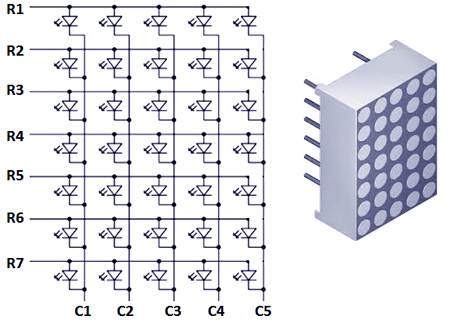 The figure below shows the arrangement of LEDs in a typical 7×5 dot matrix display. In the above diagram you can see that only one LED in a row will be ON at a time but any number of LEDs in a column can be ON at a time. That means the microcontroller’s port pin can directly drive a row but it requires additional circuit for driving the column lines. 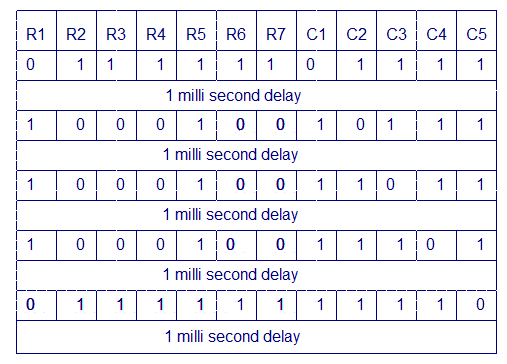 The circuit diagram for interfacing dot matrix display and 8051 microcontroller is shown below.